The most powerful waterfall in Europe. Dettifoss is the most powerful waterfall in Europe. Water churns over its lip in a grey, tumultuous mass and falls to the mist-shrouded rocks below. The sense of power and unstoppable movement is just awesome. Dettifoss is not the highest or even the widest waterfall, although its certainly both those things, but the sheer volume of water that pours over its edge is unrivalled. As Callum commented, it’s like visiting the end of the world with the ocean disappearing into the unknown. 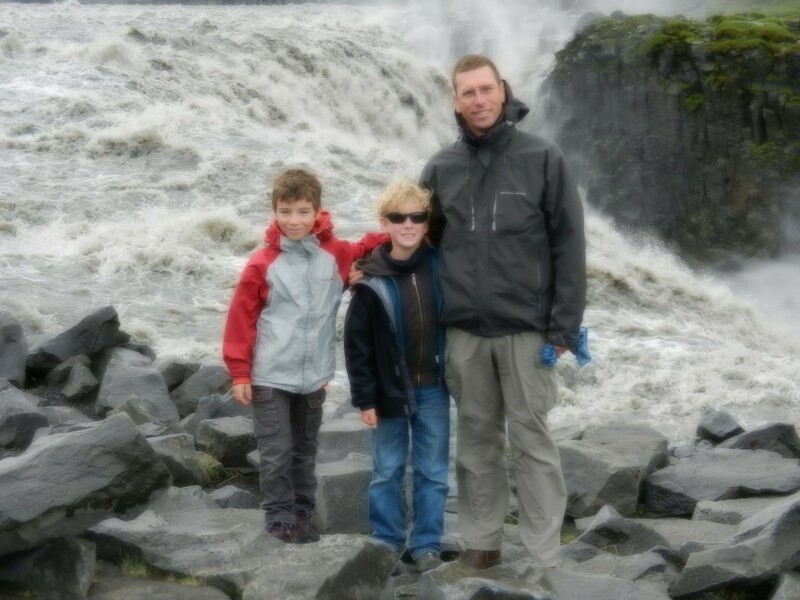 Walk a couple of kilometres upstream from Dettifoss and you come to Selfoss. 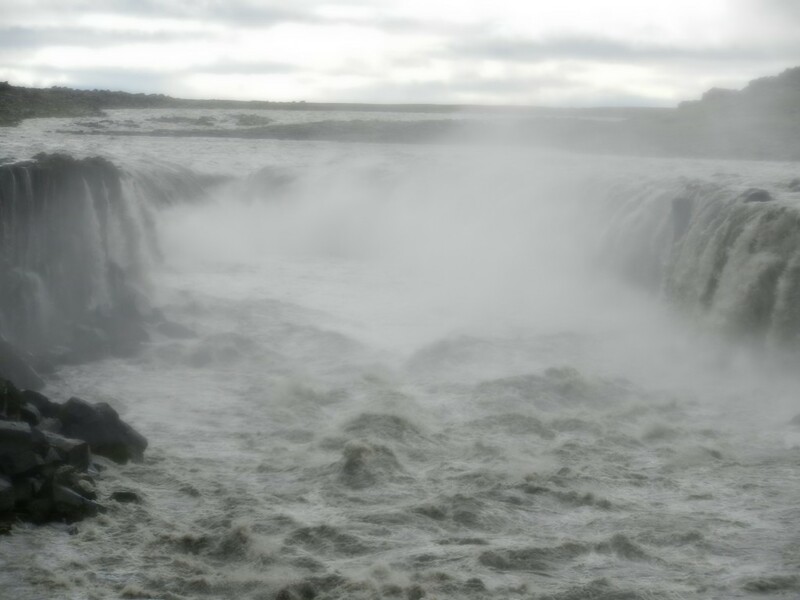 Selfoss does not hold any records but is almost more impressive than Dettifoss anyway. 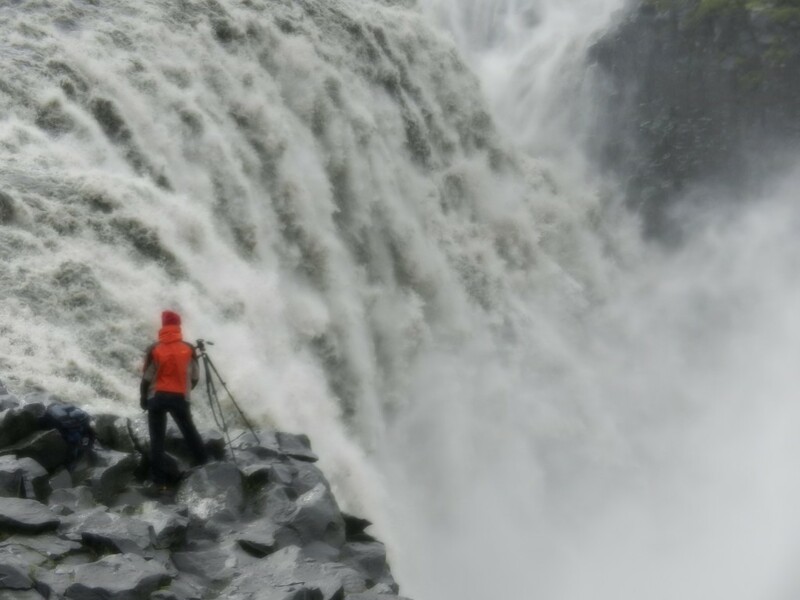 Rather than just being a fall at the head of a gorge; Selfoss has water pouring from the end of the gorge and down both sides. So you end up with a long, narrow chasm with water pouring everywhere. Sometime in the course of today we drove from the American continental plate to the European continental plate. With our current focus on geology this was an event that generated an unreasonable level of excitement in our family. We’re spending the night in a hostel on the far North-East coast. 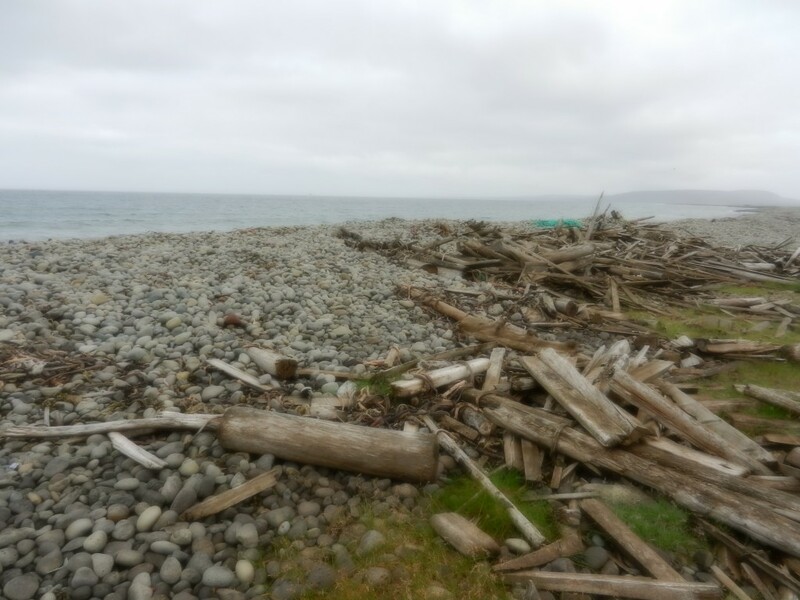 The drive along the dirt road to get here was remarkable for all the wood tossed up on the shoreline: evidence of storm tossed winters. It’s like this is the place old telegraph poles go to die; except, of course, these poles are rounded by water not machine. Ytra-lon is the furthest North we’ve been on this trip; or ever for that matter. We are currently 66.245935 degrees north. That’s not quite the Arctic Circle but it’s only a few miles short of it.